Freeze dried backpacking food is one of your options for lightening up your pack on a multi-day hiking trip. But it's not necessarily the best option. Here's a quick review of why freeze dried backpacking menus are so popular. Then you can decide if this type of trail food is for you. Any food that is "freeze dried" is going to weigh a lot less than it did originally. The technique of freeze drying pulls out the heavy water molecules, leaving nutrients behind in the remaining organic material. Carrying food that weighs less is what backpacking is all about. Ditch the water on the trail, and then add it back once you set up camp near a surface water source. Hiking tip: Always know where your water source is going to be, by studying maps and satellite images of your intended destination. And know how to clean it up. Amazingly, the flavor and smell of the food is pretty much retained, which means rehydrating your meal over a stove is going to involve all of your senses. That makes for a pleasant dinner experience after a long hard day on the trail. It also means that food odors can call in predators or scavenging nuisance animals like rodents and raccoons. There's a second way to remove water from food, and thus lighten it up: dehydration. Many hikers use a home dehydrator to make backpacking menus for multi-day trips. This follows the time honored tradition of drying food in the sun's heat, but makes trail food preparation more convenient on your own kitchen counter top. But what you need to know about this method is that dehydrated food will not have all of the nutrients, aroma and savory-ness of freeze dried backpacking food. Why not? Because it takes longer and uses heat to achieve its goal. You'll lose some of the important flavor molecules. On the other hand, dehydrated backpacking food will be even more compact and cost a lot less when you use this technique at home. 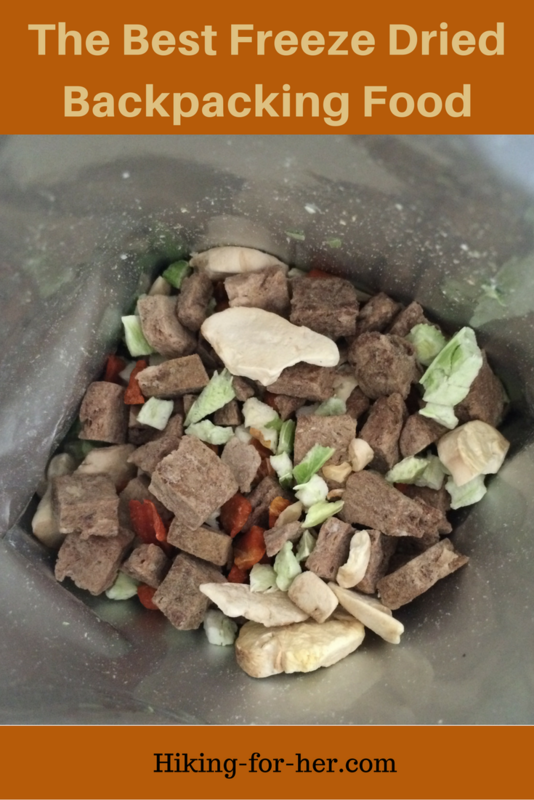 Freeze drying backpacking food at home is not easy, and thus not widely used as a method for hiking food preparation. One more downfall of dehydrated food: It takes a lot longer to rehydrate, as in hours rather than minutes if you only have access to cold or tepid water. However, if you have a stove with adequate fuel, you can rehydrate either type of backpacking food within 10 minutes using hot water. I know that water source is around here somewhere! Dinner can't be far behind. Never heard of fresh dried food? It's a new technique to preserve more of the nutrients while creating a lightweight nutritious supplement for backpacking menus. The Blendfresh Company is pioneering this approach to preserve most of the nutrients, vitamins, minerals and enzymes of fresh food. Phytonutrients, if you'd like the technical term. This is important for long distance hiking, because of the wear and tear on the muscles, joints and cardiovascular system. Check out your options for fresh dried nutrition here. Every hiker has unique taste buds, and what is incredibly yummy and satisfying for me might not make it onto your "favorite trail foods" list. But I'll go out on a limb here and tell you why I prefer this brand: Backpackers Pantry from REI (a reputable gear coop) which offers a percentage discount when you buy in bulk. Which you should, to maximize cost savings and mix up your trail menu for the benefit of your taste buds. Bored taste buds are something to be avoided at all costs on a backpacking trip! So why Backpackers Pantry for my backpacking trips? I don't have time to dehydrate a lot of backpacking food. I don't have space for a dehydrator in my minimalist kitchen. I'd rather spend a bit more for more flavorful and nutritious, yet still lightweight and compact, backpacking food. This company adds vitamins and avoids artificial flavorings & preservatives. Mountain House is a company that has been around for over four decades. I've used it for that long, too! Here's my recent review of some of their backpacking meals. Or go here to select your favorite entrées for an upcoming outdoor adventure. If you need to go gluten free, Backpacker's Pantry has an assortment of options just for you (including my fave, the curry!). Be sure to select "gluten free" to sort through the entrées on their user friendly website. For exact, detailed information about ingredients, read their list of nutritional information here. All of the common allergens (milk, peanuts, wheat, soy, etc.) in each entree are noted, so you can avoid anything you'd rather not ingest. I don't use their breakfast entrées because I'm always in a big hurry first thing in the morning, so I don't have any feedback on those. But I never skip dessert, and can highly recommend their version of Astronaut Ice Cream, which brings back childhood memories. 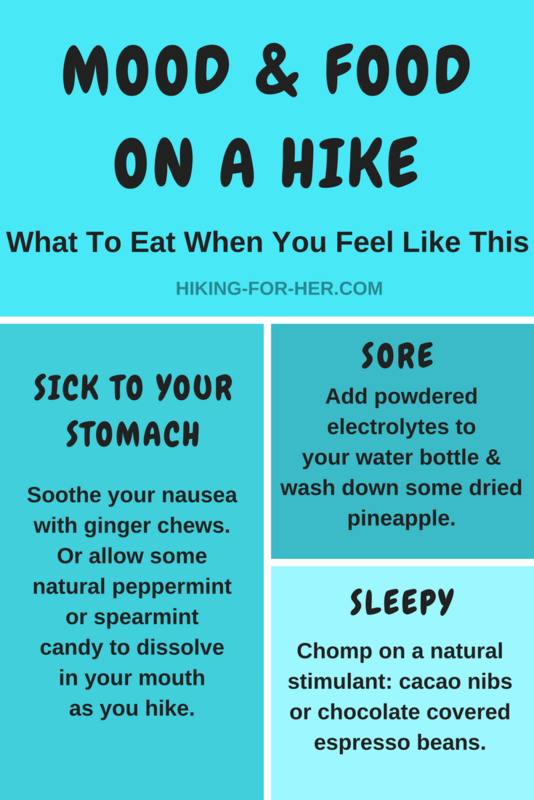 Don't let the sugar scare you - carbohydrates are a backpacker's best friend!Probably not so much in your off trail life, though. Mountain House has clear labeling to make it easy to spot their gluten free options, too. Recently, I discovered another gluten free, "real food" option for backcountry meals: Paleo Meals To Go. Read why it has risen to a top spot on my list of freeze dried backpacking food. Update: It's been re-branded as Wild Zora. And here's another recent addition to the HFH freeze dried backpacking food line up: Valley Food Storage options. Pack some lightweight but powerful food to modulate your mood as you hike. Think ahead to include these simple, natural solutions to problems that all backpackers face on the trail. Enjoy the process of finding your trail favorites. Freeze dried hiking food isn't cheap, but it's not possible to make it yourself at home. That's where a food dehydrator comes into play. So decide for yourself what's most important to you: cost, convenience, nutrient levels, or flavor. Then select from dehydrated or freeze dried backpacking menus. Realize that you're going to be hugely hungry on a backpacking trip. Serving sizes on pre-packaged backpacking food should be treated with skepticism, as in "I can eat the WHOLE thing by myself." Because you can (and will) devour each and every morsel of your freeze dried backpacking food entrée. 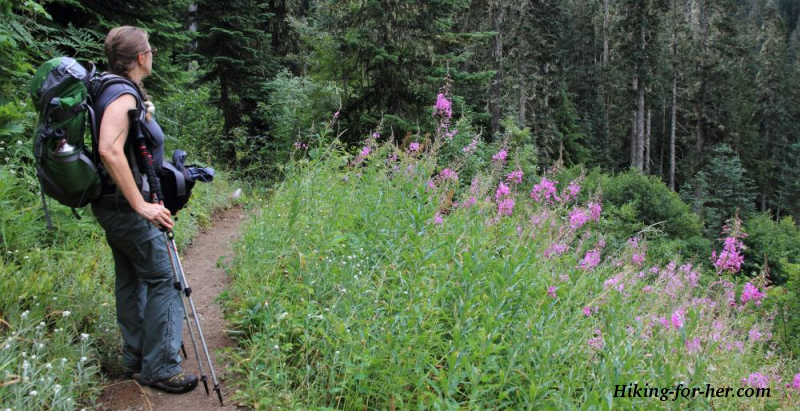 Before you go, check out how to stay full on the trail! Some of the links on this page and elsewhere on Hiking For Her are affiliate links. 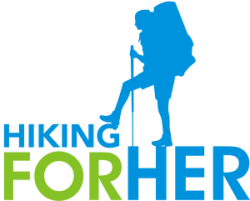 When you purchase through the link, a small percentage of the purchase price allows HFH to continue offering free hiking tips on this website. But it's a win-win: you get trail worthy products like freeze dried backpacking food, and HFH can keep the electrons flowing. Thanks for your support!